When does a cardboard box become more than an essential packaging supply? Cardboard boxes are all around us in many different shapes and forms. Businesses big and small need them for storing, transporting, and protecting goods. But, separate from this, unassuming cardboard boxes can be found in homes around the country – maybe tucked away at the back of wardrobes or hiding under beds. These boxes contain hidden treasures, the mementoes of past times we want to, quite literally, hold on to. It’s because of this memory boxes can help people suffering from Alzheimer’s or Dementia, exposing them to objects from their past can help them recall their memories of people and places. The same is true for each of us, the act of physically opening a box of memories and holding them in our hands helps us feel closer to our past. But, how does keeping a memory box actually help us to remember? Today we have cameras on hand to capture every moment, but it isn’t often we delve back into these digital memories. And is the act of looking at past moments on a screen the same as actually holding onto something physical? We wanted to find out if keeping a physical memory box makes a difference to the way we remember our past, so we asked the experts. We spoke to a Clinical Psychologist, a Therapist, and a Research Professor to discover what they think about how our memories are shaped. 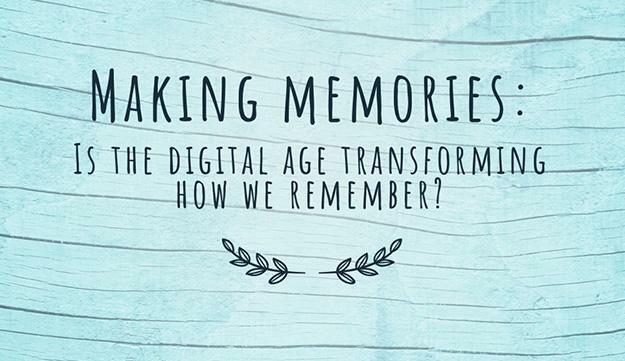 Find out what they said and see how much you can remember in our look into Making Memories. This entry was posted in Packaging Industry News and tagged Cardboard boxes, Unboxing on September 27, 2018 by Rajapack UK.